After three and a half years in London (eating my away around town at numerous gastro-pubs, burger joints and pop up stands), I can say honestly say that the best the best burger in London comes from Dirty Burger. “Big call!” I hear you say, but believe me … These burgers are exceptional! 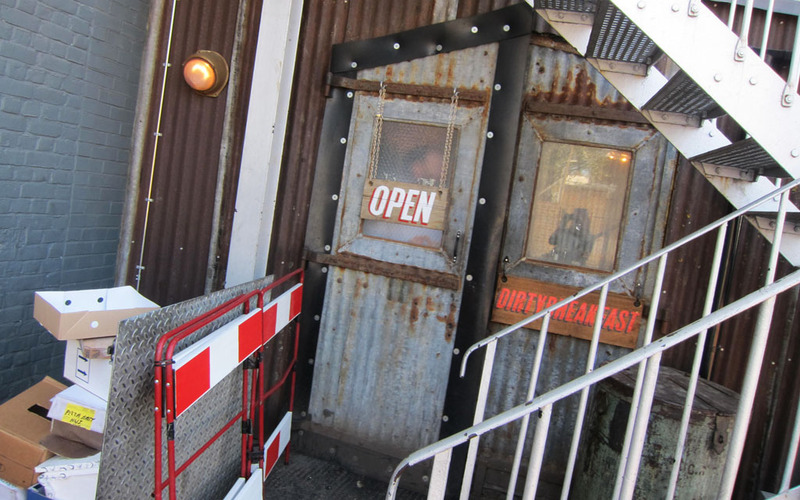 From the outside you wouldn’t think much of the place – a steel shack, tucked under some stairs in a car park, but push back the corrugated iron door and you will find an inviting industrial chic interior. The furnishings, which at first glance look as down beat as the exterior, are in fact slick and modern by design. Wrought iron stools sit under a wrap around bar, while a rustic looking table dominates the centre of the room. 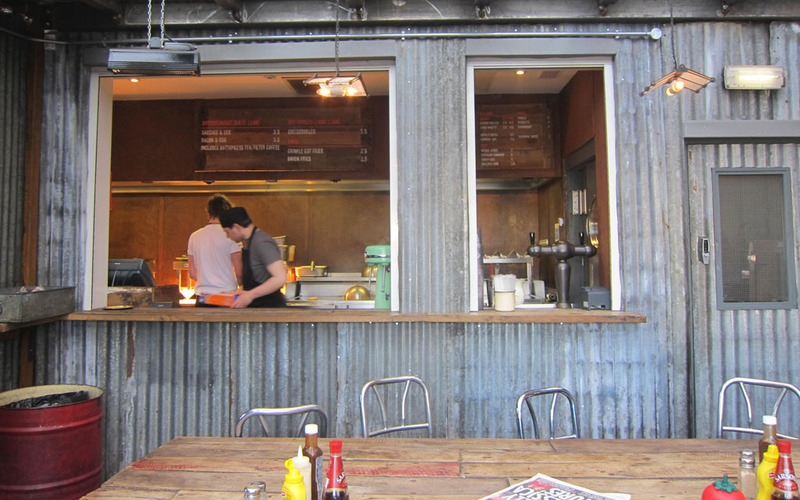 The open kitchen, where the chefs are constantly flipping burgers on the grill, is small, as is the menu that hangs overhead. Actually, there’s only one option and that’s a cheeseburger (£ 5.50). I’m sure you could ask for it without cheese, but why would you? It’s an essential part of a great burger! As for sides there’s slightly more choice. That is to say you can choose between crinkle cut fries or battered onion fries (£2.50). Nick and I opted for two burgers with a side of crinkle cut fries. It was a definite ‘love at first bite’ situation. The beef patty was lean, flavoursome, juicy and grilled to perfection. The melted cheese together with the mustard and mayonnaise sauce was especially tasty. All this combined with a slice of tomato and a pickle or two. Dirty Burger are onto a winning combination I’d say. The greaseproof paper bag of crinkle cut fries was full of triple cooked salty goodness. The fries were crunchy on the outside and soft inside. We washed all that ‘dirtiness’ down with a made-in-house vanilla milkshake. The shake was good, seriously good. It was super creamy and thick, but not too thick that it couldn’t fit through the straw. Just the way I like it. If you can’t wait until lunchtime to get your Dirty Burger fix then there’s always the two ‘Dirty Breakfast’ burgers – one with haggis sausage and egg (£3.50), the other with double cured bacon and egg (£3.50) – each held together by Dirty Burgers tasty homemade buns. But for me, it is the cheeseburger that steals the show, so if you can hold out util 11am I would. After writing this post I have such a strong craving for a Dirty Burger. It’s too bad I’m in NYC. 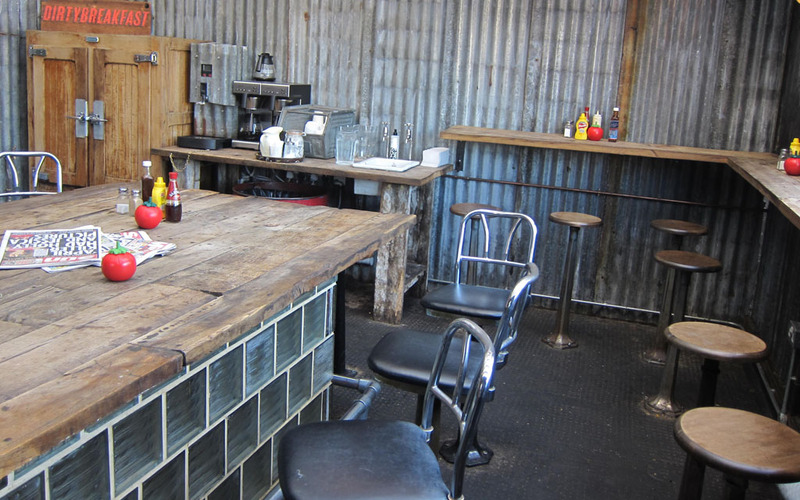 I’ll have to wait and get my Dirty Burger fix when I’m in London town next. Come to think of it, it’s probably a good thing that I no longer live there, as I could have easily formed an addiction to these delicious burgers. To all you Londoners and travellers passing through, get amongst the ‘dirtiness’ and enjoy! 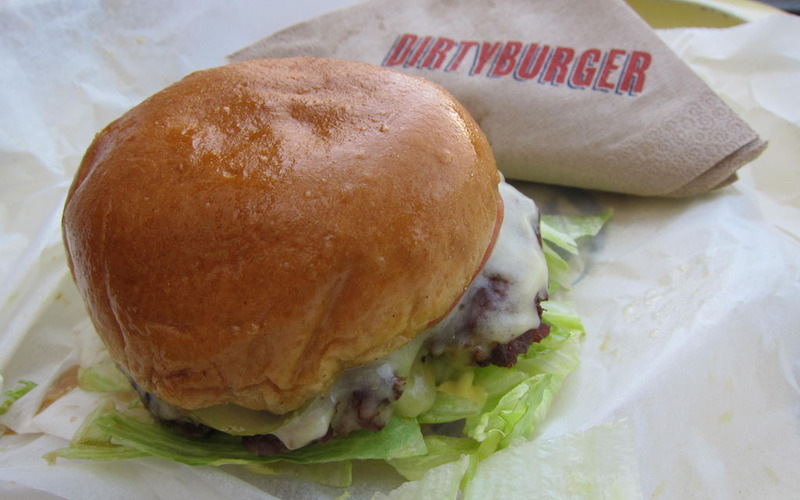 Whilst writing this post I discovered a second Dirty Burger location has recently opened in Vauxhall. No bookings. Burgers are served from 11am onwards.